The two texts we have collected together in this volume were written between 1847 and 1865. But even though they were written almost one hundred and fifty years ago, and in spite of their conciseness, they have the amazing ability to clarify a number of current problems. Moreover, they are an illustration of Marx’s ability to «popularise» complex notions: in fact they present the bases of economic analysis in a way that is both simple and scientific. These two works, Wage Labour and Capital and Wages, Price and Profit, offer a solid, irreplaceable base for the study of the Marxist theory of economics. A party is built on strategy. The group that founded Lotta Comunista came to this conclusion at the close of the 1950s. It was the central thesis of Class Struggles and the Revolutionary Party, the core text of our organisation, written in 1964. As What Is to Be Done? had been for Lenin’s party, so Class Struggles has been and is for Lotta Comunista. In the beginning, there was the war, and its consequences for Europe – the partitions agreed at Yalta and the myth of Stalin’s USSR as the bastion of world socialism. The Genoa Pontedecimo Convention, held in February 1951, was the deed of partnership of the group that became the original nucleus of Lotta Comunista in the early ‘60s. It was a little group of workers, most of whom had been won to politics while fighting as partisans. The world and Europe were shrouded in fog in 1951.
choice that ensured the political independence of that ‘handpicked unit’. Theory and strategy would both be developed from there. There were not only the USA and the USSR; global capitalist development was seething with contradictions, starting with Asia. Washington and Moscow were capitals of unitary imperialism, but they were not the only ones: there were also London, Paris, Bonn and Tokyo…not to mention Rome. Seeing things from a scientific point of view is a conquest. Welded to organisation, it is the only way to prevent the class forces from being influenced or won over by others. Our point of reference is that one ought to know with whom one is dealing: our autonomy from the forces of capital needs to be defended tooth and nail. This is the secret of our strategy-party. Four generations in a party would not have been possible without theory, science, and organisation, but also without the passion of participating in that collective enterprise. The fighting spirit for such a great cause, communism as a truly human society, is, instead, the propellant for political passion: enthusiasm in understanding, enthusiasm in fighting. 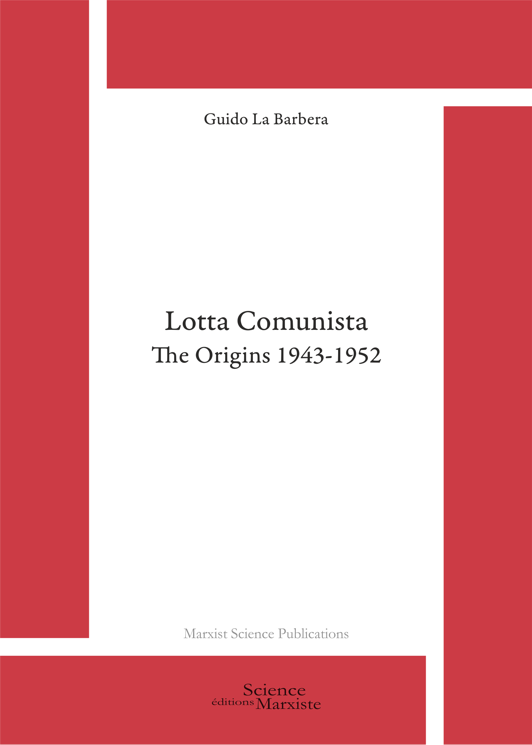 This book continues the story of Lotta Comunista after the first volume narrating what happened to the original group between 1943 and 1952. In the mid-’50s, as a result of the crisis of Stalinism, GAAP, the Anarchist Groups of Proletarian Action, entered into dialogue with Azione Comunista. The latter was a political grouping of maximalist stamp that initially worked as a pressure group within the PCI. It left it in 1956, the momentous year of the “Khrushchev Report”, the Suez crisis and the repression of the workers’ uprising in Hungary. dissidence as an opportunity that could substitute proselytism among the anarchists, which had ended in deadlock; in the end it would propose merging the movement with Nenni’s PSI. A Milanese maximalist splinter group would still remain in the Communist Left, until it fell prey to the Maoist myth shortly afterwards. The majority would return to the PCI or would lapse into passivity. A small group, including Arrigo Cervetto and Lorenzo Parodi, would retained their political autonomy and gave birth to Lotta Comunista in 1965. This was the result of a decade of heated battles of a small group to reject the many influences – both national and international – that acted upon Azione Comunista and the more general phenomenon of the crisis of Stalinism in Italy. The other face of the decade was a double victory for both strategic elaboration – with the theory of unitary imperialism and the 1957 “Theses” – and in party theory – with the book Class Struggles and the Revolutionary Party. This was the crux of the matter: political autonomy based on strategic clarity. In spite of a thousand adversities and some mistakes, continuity with Marx and Lenin’s revolutionary science had been restored. It would give Leninism a chance to recover in Italy. What do we mean by the «new strategic phase»? The United States' decision to intervene in Iraq in 2003 was born as «a war by choice» that was meant to change the regional and global balance of power. This «political war» confirmed the decades-old strategic framework of the «Carter Doctrine» – to impede the hegemony of any single power in the region – but it did so with two distinct objectives. The immediate objective was regime change in Iraq. The strategic objective was China. In quasi-explicit terms the «Bush Doctrine» reaffirmed that American control over the Persian Gulf was designed both to condition China and to prevent the spread of Chinese influence in the region. China poses a threat not only because of its increasing industrial power, but because of its growing dependence on oil from the Middle East. We concluded at the time that if the United States had considered it necessary to intervene directly in a war to maintain the balance of power, then international relations had entered a phase of definition – the tensions and contradictions of the global contest had crossed an important threshold. 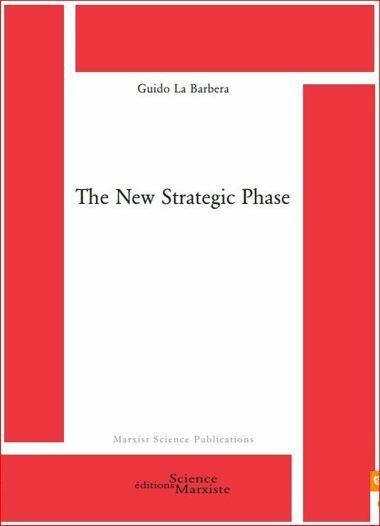 The following year (2004) we used the term new strategic phase for the first time. It was used in the preface to the new edition of “Class Struggles and the Revolutionary Party”, which was published to commemorate the fortieth anniversary of this key text for our party theory. 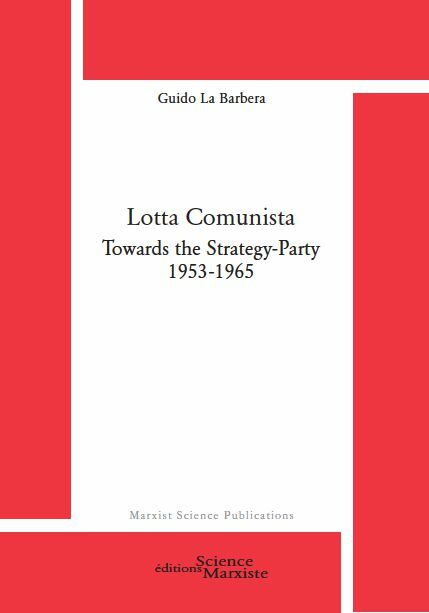 This work dealt with the conception of our strategy-party and its “1957 Theses”, which, in a certain sense, represent the «strategic constitution» of our party. 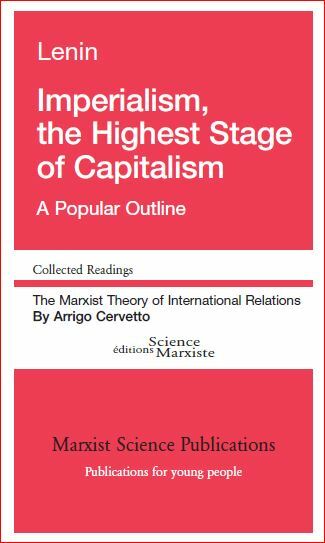 For the past fifty years, this analytical work on long-term capitalist development (especially capitalism in Asia) has provided the scientific framework for the definition of the role of our revolutionary party, and a guide for the consolidation of our party in such an advanced metropolis of imperialism as Italy. Now that new imperialist powers are rising in the east – namely China – and European imperialism has created the euro federation, the cycle that we had identified has come to an end and a «new strategic phase» has opened. The new characteristic of this cycle is the struggle among continent-size powers: the nation-states and the concept of sovereign power that was born in Europe are no longer sufficient for the new struggle. China and Europe are the crux of the matter in this new phase. As for our party's tasks in this new strategic phase, the recent crises have confirmed the global concentrations of the proletariat and – for the first time – the existence of real potential. A billion people will participate in tumultuous transformations and be directly affected by social change during the next decade. They represent an objective opportunity for our revolutionary strategy. The transformation of this potential into the subjective forces of internationalist communism is the question we face, and the unprecedented challenge of this new phase. The march of the new units of the global proletariat in China, Brazil, the Middle East and Turkey has just begun. Class energies are present, but their form and direction are unknown. This is also why the consolidation of Bolshevism within European imperialism is of fundamental importance for the internationalist strategy of our worldwide class. This book is a collection of the analyses of international relations made by Arrigo Cervetto during the first thirty years of his activity as a militant revolutionary. 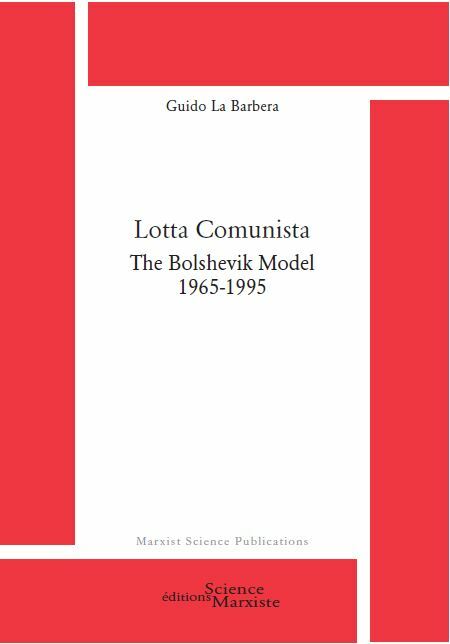 This great analytical work is the outcome of the political battle that Cervetto fought during those years to restore Leninism to Italy, and cannot be separated from his particular interpretation of Lenin’s political legacy. For Cervetto, and for the small group of revolutionaries that gather round him after the Second World War, this return to Lenin is the indispensable prerequisite for the formulation of a revolutionary strategy. In other words, via Leninism, these militants aspire to raise the communist movement out of the abyss the Fascist, Stalinist and Social-Democratic counterrevolution had cast it into. The title of this book picks up a concept, that of «unitary imperialism» in fact, which had been worked out starting from the internationalist debate of the early ‘50s. From a political point of view, asserting the existence of «unitary imperialism» at that moment in history meant saying above all that one attributed to the ussr, as well as to all the so-called «socialist camp», the same social nature as its opposing Western «capitalist camp». Internationalism thus found a solid theoretical base, but the concept of «unitary imperialism» goes much further than its occasional use in the political struggle against Stalinism. 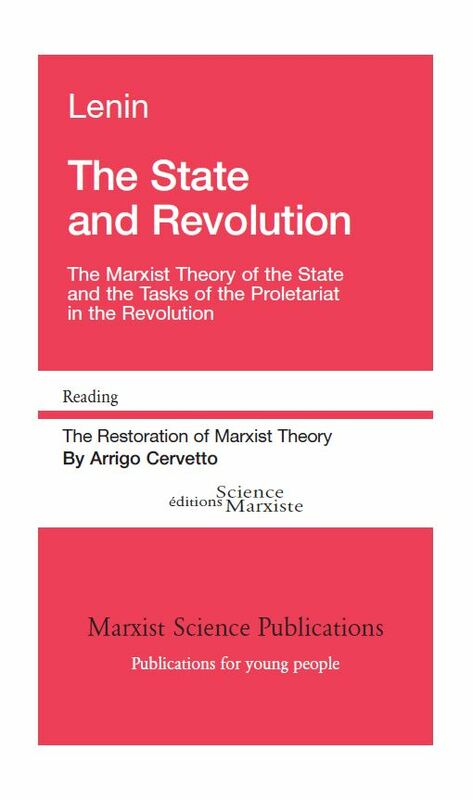 In his effort to link up with the essence of the Len­inist conception of the revolutionary party, Arrigo Cervetto finds the central core of the continuity between Marx and Lenin in the concept of socio-eco­nomic formation. 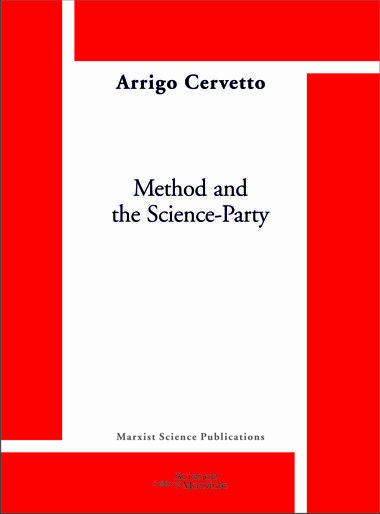 Cervetto demonstrates that this scientific acquisition of Marx’s is the starting point of Lenin’s elaboration and goes so far as to maintain, and to prove, that the Leninist Party is the solution to the problems posed by “Capital”, that «the party [is] the apotheosis of Marxist science». The great mass of the material collected in these volumes testifies to Arrigo Cervetto’s commitment to his effort to put his conception of the party and the revolutionary struggle into practice. Lenin affirmed that without a revolutionary theory, there can be no revolutionary movement. His statement seems simple, but, in reality, it is anything but that since the revolutionary theory is more complex than it may seem to a formal reading of Lenin’s political texts. Leninist theory is, precisely, the outcome of a profound scientific analysis of social reality. And, at the same time, it is a class instrument for acting in a historically determined society’s economic structures and political superstructures. If we study the Leninist concept of the party, we immediately find ourselves faced with revolutionary theory as Marxist science. That is, we are faced with the issue of the scientific foundations of political action. In other words, it is not possible to understand the Leninist concept of the party unless one understands the entire scientific analysis of the economic structure that constitutes – in Marx and Lenin – its base. Removed from its scientific platform, the Leninist concept of the party would appear to be a monument – perhaps even a gigantic one – to political will. It would be a monument to the theory of power, to the theory of organization, but it would be a monument without a pedestal. This explains why formal acceptance of some Leninist theses still does not represent the assimilation of the revolutionary theory. That is, it does not represent assimilation of the general scientific concept that is Leninism’s foundation. Consequently, the Leninist concept of the party is the result of a Marxist economic analysis and without applying this latter, we cannot reach – even on an organizational level – the former. Even Lenin’s life story as a Marxist illustrates this dialectical path. Hence, the problem to face the entire issue of how to assimilate the revolutionary theory. Class Struggles and the Revolutionary Party is the result of an investigation into these problems. With regard to man as a biological individual, time is set by the experience of generations – childhood, adolescence, youth, middle age, and old age succeed each other and provide time with a rhythm. Tragic events, whether individual or collective, can take place, socio-economic changes can extend the average life (as occurred in the 20th century), but in any case the significance of biological time is a stable element. Political time, on the contrary, is a historical time subject to the dialectics of accelerations and decelerations. “There are days that are worth twenty years – Cervetto reminds us, citing Marx – and yet, in the movement of matter, one day is one day.” The strategic divide of 1989, that sanctioned the end of the East-European State-capitalist regimes that had been passed off as socialism, was a remarkable evidence thereof. Science only can emancipate us from the ascendancy of present time, that almost inevitably leads to mistakes about the reality of today – perceived as absolute reality, independent of any evolution – and thence prepares the disappointments of tomorrow. This work is a methodological development running in parallel with the analysis of the Italian standing “imbalance”, as it was investigated in “The Uneven Political Development”. 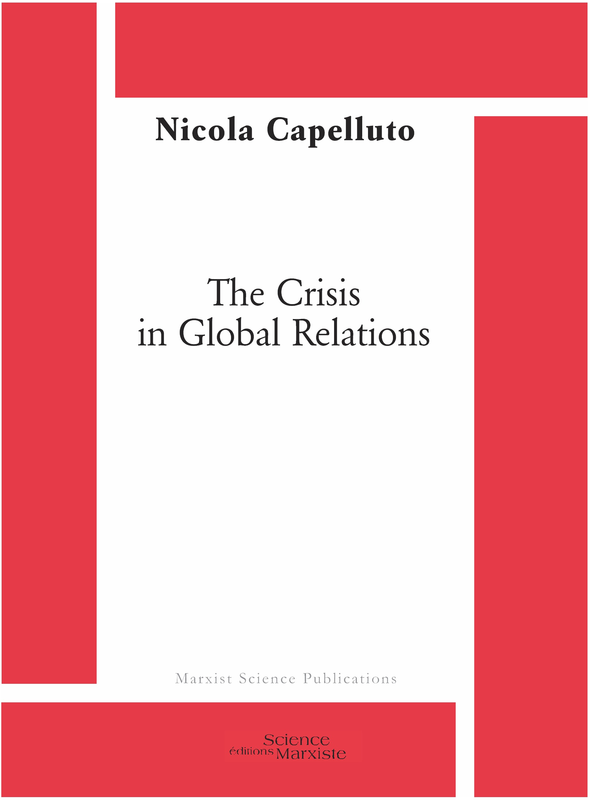 As is written in the Introduction, this book collects Cervetto’s reflections on the materialist conception of politics in 1977-81 and 1984-89. It is the theoretical side of a strategic issue. It was necessary to underline the dialectical character in the structure/superstructure relationship through a sharp criticism of both mechanism – which reduces political analysis to econometric evaluations – and the idea of the primacy of politics – which takes no account of the actual economic determination. The connection with the sound foundations of Marx and Engels’s thought is shown in illuminating and less-known passages quoted from their works, as well as from Lenin’s. This is the basis whereupon a comparison with Eduard Bernstein’s liberal arguments, Heinrich Cunow’s revisionist ideas, Lev Trotsky’s tacticalism between the two world wars, Hans Kelsen’s normative approach, and Pëtr Struve’s objectivism can be drawn effectively. The investigation into the actual characters of democracy in the imperialist epoch marks this book throughout and accounts for its extreme up-to-dateness in a critical stage of the best possible “political shell” for capitalism. 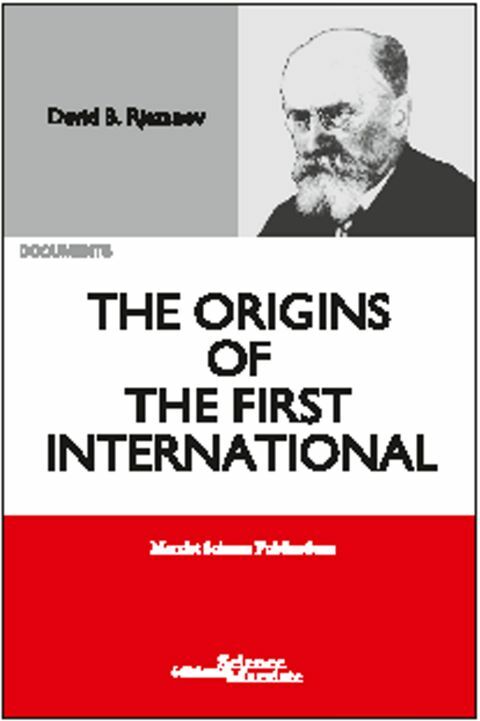 The writings now collected in Method and the Science-Party seek «the theoretical axis» of the world-shaking transition in the multipolar contention – which has one of its kingpins in European unification – in the origins of method and of political science, as well as in modern history from the sixteenth century on . This is a transition that updates to a continental chessboard our «unprecedented task» of entrenching the Bolshevik party in an imperialist metropolis. In the Far East, where decades of turbulent development have engulfed the hundred thousand villages of backwardness and dragged billions of individuals into the modern era of class struggle, crises, and capitalist wars, it is the glare of nuclear explosions that is accompanying the rise of new powers and the consolidation of their states. All of this provides the ideologues of super-imperialism, today reincarnated in the bards of peaceful globalisation, with a Sisyphean task. While the European bourgeoisies attempt to conceive a continental state after the bloodletting of two imperialist world wars, the Asian epicentre is generating new Leviathans with nuclear claws. Starting from Europe five centuries ago, capitalism undoubtedly unified the world market, but only for the world to be once again divided and shaken violently by imperialist competition, its crises, and its wars. Meanwhile, however, it has made the proletariat universal for the first time in history. It was August 2007 when the crisis broke out in the heart of American and European imperialism. The depth of the financial crisis was revealed in a whirlwind acceleration starting from the spring of 2008. Between March and September about ten of the biggest American financial institutions failed. In the same period in Europe, a similar number of banks were saved by governments or other banks. The catastrophe was mainly concentrated in the month of September, and has gone down in the collective memory in a simplified form: “the collapse of the Lehman Brothers”. The panic that ensued set off the recession. The recession was braked by huge public, fiscal, and monetary interventions, but above all by emerging Asia, which continued to grow at an almost 7 % rate while the advanced economies were retreating by 3.2 %. But without that vast world area that kept its engines revved up, the recession of the mature economies would have been much longer, and it would have been much harder to curb the initial protectionist pressures. The crisis itself has resulted in a number of changes that are already the outcome of the interimperialist struggle. The Anglo-Saxon financial model has come out of it badly crippled. The financial giants have demonstrated that they still have widespread influence over the political world, but the myth of their invincibility has been destroyed. The global extension of the crisis and of the new phase of the imperialist contention has confirmed the need for continent-sized states and monetary areas. China’s continental dimension does not only change the proportions but also the strategic sense of the struggle between rising and declining powers, from every point of view. The overwhelming public debt with which the old metropolises exit the crisis will make them vulnerable for at least a decade. The challenge in this field, which has no foregone conclusion, will be to retain the liberist nature of the cycle by limiting its infringements or protectionist exceptions. Crises lead to disappointment and disillusion, but also to fear and confusion. For the working class they are moments of suffering and of the need for clarity, moments that are difficult to overcome, because it is precisely in times of crisis that the bourgeoisie seeks to set proletarian against proletarian, setting the instinct for self-preservation against the instinct for solidarity. But it is self-evident that crises are the confession of the impotence of capitalism in the face of its contradictions, the recantation of its promises to the younger generations, and the unmasking of democracy before growing social disparity. Crises provide the best moment to reaffirm that our class numbers mean that we are strong only if we are guided by Marxist science and organisation. Written at the turn of the new millenium, this work is a reordering of the problems daily encountered in the struggle to organise the working class. The 'Unprecedented Task' at stake today is the establishment of a revolutionary party on the Bolshevik model within the social fabric of imperialist maturity. 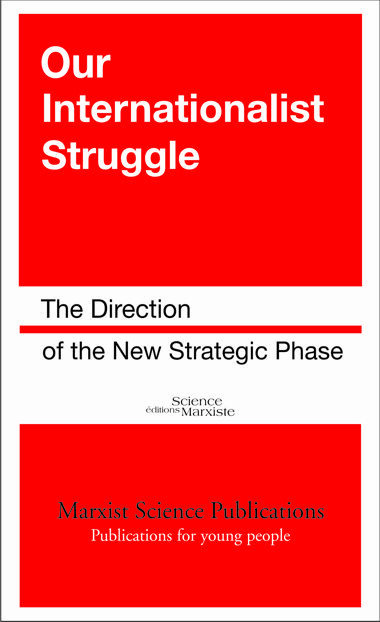 In the pages of this book, we can follow all the stages in the fundamental political battle of this phase – to consolidate an organised Leninist force in the heart of Europen imperialism. The problems of this battle are confronted in relation to the key tendencies in the world struggle, and the crucial issues that internationalist policy has had to, must today, and will in the future require to tackle. The crisis in the Middle East has activated the pedlars of fear... fear created by "reactionary terrorism", that tool of the Middle Eastern bourgeoisies that has become uncontrollable, and that has no scruples in massacring helpless workers and in stirring up fanaticism and racial hatred... and the fears agitated in return in Europe and the West, either through xenophobic populism used calculatedly to grab votes, or by imperialist Europeanism, delighted with the opportunity to try out its mass ideologies, from "Fortress Europe" to the revisited myths of the "clash of civilisations". The common sense distilled by newspapers and TV channels suddenly changes. It is now the moment of speakers' platforms and demagogues, of turncoat intellectuals, of the smart journalist in search of editorial opportunities, and even of the priest. Taking notes is a useful exercise: this is how they will show tomorrow's imperialist mobilisations, when Europe will have to be mobilised in its defence as the giants of imperialism clash. And yet, all of this is not inevitable. There is an alternative to war, terror, fanaticism and the ideologies with which they want to subjugate consciences. The proletariat has the colossal force of its numbers. In North Africa and the Middle East, from Morocco to the Persian Gulf, wage earners have risen from 25 million to almost 70 million in thirty-five years: they would be strong enough to throw off the corrupt, ruinous bourgeoisies. And what a power they would be, united to Europe's 200 million wage earners, India's 220 million, China's 350 million, to the proletariat of the whole world! The proletariat, a world power, against the powers of capital and imperialism: this is the only answer to a world of fear. This is the first lesson of 1917, its highly topical and fecund legacy – strategy party means bringing the consciousness of decisive world facts to our class. This was the case a hundred years ago, in the October assault in Russia. This is the case today, in our battle to entrench a Bolshevik Party in the heart of European imperialism. And it will be the case tomorrow, when the imperialist contention will once again leave no alternatives: either war or revolution, either Socialism or barbarism. Then there is a second lesson. The slogan of the German Spartacists – «The Main Enemy Is at Home » – stands out on the first issue of our newspaper. That allusion from the 1914-18 internationalist battle is a point of reference for today, both in our struggle against the ideologies of the ‘small’ homeland of the nation-states and the new ideology of the ‘big’ homeland of the European continental State. Today the « locomotive of history » that is driving the international struggles of the classes and of the States is not yet imperialist war, but it is huge, uneven, economic and political development – it is Asia’s rise that is preparing the future breakdown of order, but meanwhile it proceeds in the present amidst increasingly intense crises and partial conflicts. Chinese imperialism is emerging, European imperialism is on the move, the Atlantic powers are declining and those of the Pacific are gaining a foothold – continent-size forces are fighting each other. Tomorrow revolutionary defeatism will establish the class autonomy of every sector of the world proletariat, in the new assault against every bourgeoisie and every imperialism. For us, today, «the main enemy is at home» means «proletarian opposition to European and unitary imperialism». This is our slogan. It is the offspring of the October Revolution. “When on 28 September 1864, with the participation of English, French, German, Italian, Swiss and Polish delegates, the International Working Men's Association (IWA) was founded in London's St. Martin's Hall, the total number of wage earners in the world did not exceed a few tens of millions, stabilising at below 5% of the total population of the time. They were mainly concentrated in Britain and France, besides smaller numbers in other countries of the Old Continent such as Germany and Italy. In the “New World” on the other shore of the Atlantic, the explosion of capitalism and big industry was still to come and only around 1890 would American wage earners reach 15 million. Not to mention Asia, at the time the seat of despotism and the land of “a hundred thousand villages”. This was the size of our world class when Marx in the Inaugural Address of the International Working Men's Association, written the following month, launched his historic appeal «Proletarians of all countries, unite!». 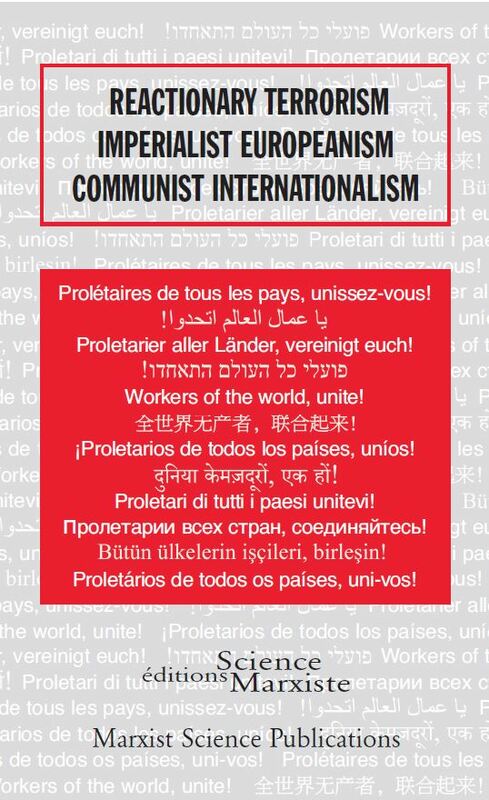 Almost one hundred years later, in the mid-twentieth century, the numbers of the international proletariat verged on 300 million, out of a global population of about two and a half billion. There would be a billion wage earners around 1990 and a billion and a half in the first years of the last decade. Many young people have repeatedly asked us to provide a short publication that would summarise in a concise manner the fundamental points of the political line of the Leninist current of thought. 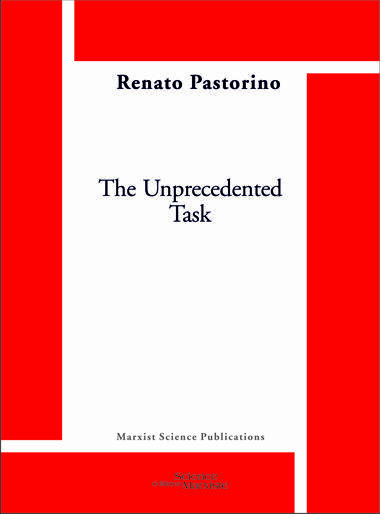 No easy task, since as Arrigo Cervetto wrote: «revolutionary theory is more complex than it may seem from a formal reading of Lenin’s political texts. Leninist theory is the precise outcome of a profound scientific analysis of social reality (...) if we study the Leninist concept of the party, we immediately find ourselves faced with revolutionary theory as Marxist science (...) in other words, it is not possible to understand the Leninist concept of the party unless one understands the entire scientific analysis of the economic structure that constitutes – in Marx and Lenin – its base». This is no coincidence. 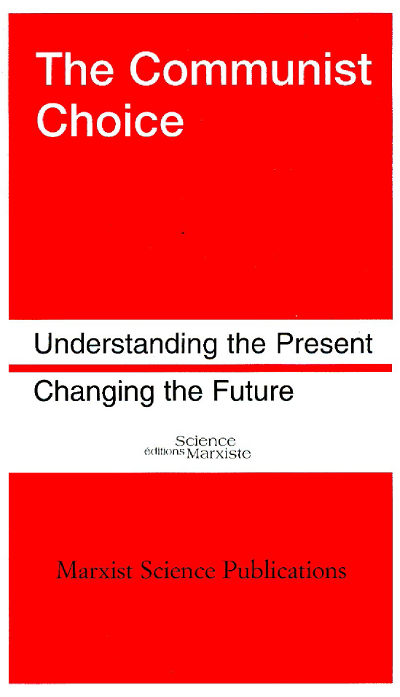 Marxism, as the science of social change, develops its own theoretical tools in its continuous drive to follow, understand and interpret the movement of the matter it studies. Since it is a science at the service of revolution, Marxism cannot indulge in academic rhetoric, and at times even a systematic treatment of its subject has been a luxury it has been unable to afford. Most often Marxist science has lived and grown under the pressure of a daily political struggle, its compass and its banner the newspaper that not only furnished its theory, but following Lenin's formula was also propagandist, agitator, and collective organiser. Republishing their works – perhaps years after they were written – or writing intorductions to collected articles, Marx and Engels produced prefaces containing some of their most important scientific synthesis. The imperialist clash is speeding up, and in the light of this the battle to establish a strong internationalist minority in the heart of European imperialism has become a battle against time. We place this collection at the service of this struggle. Those who don't learn the lessons of the past are likely to commit the same mistakes in the future, and consequently, history is worthy of study in all disciplines, and particularly in politics! This account comprises facts of historical record, and places the political magnifying glass over the instructive and terrible events of over 120 years ago, that answer the question of why the First of May was chosen as International Workers' Day, or May Day. Lenin explains that in the decades of relatively peaceful development of capitalism, from 1871 to 1914, the social materials that would give birth to social-imperialism accumulated. This objective process emerged in various ideologies; all of them had a common feature: «opportunistic prejudices» about the nature of the State. The revolutionary process was destined to be stifled by nihilism, maximalism, and inconclusiveness; to meet with self-destruction, unless it got out of the quicksand of prejudices against the State. The first imperialist world war produced the material conditions for revolution: in February 1917 the political crisis in Russia emerged in an acute form, leading to the fall of the autocracy and the birth of the most democratic of republics. What was arrived at was dual power. The parliament and government co-existed with the soviets, the most genuine expression of the revolutionary forces’ political shell: the workers and poor peasants in uniform. The Russian revolutionary labour movement had to operate politically within the framework of the most democratic republic history has ever produced. Without a revolutionary theory about the nature of the bourgeois State there could not be a revolutionary movement of opposition to the most efficient shell of this State: democracy. The rapid succession of events in just a few weeks put the Marxist theory of the State on the agenda. This theory immediately became a practical struggle, a struggle for existence. Either communism or bourgeois democracy: the real process did not offer alternatives. We can say that, with Marx, communism was the real movement that revolutionised the state of present things; in the Russian 1917, these present things were embodied in the democratic bourgeois republic itself. As this struggle for the existence of our concept flared up, Lenin wrote The State and Revolution in August-September 1917. 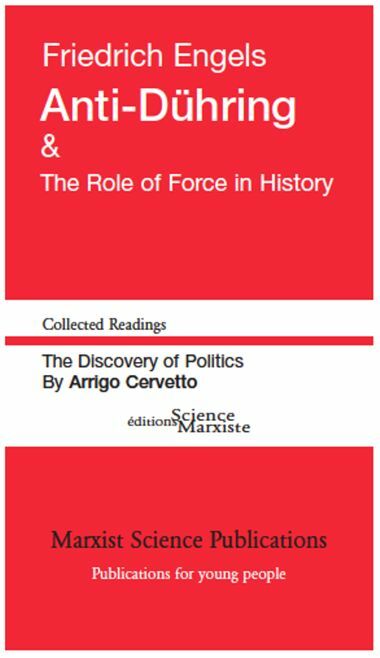 This reprint of Anti-Dühring includes two articles written by Arrigo Cervetto in 1978, a century after the Lipsia publication of this work of Engels, much of which was produced with the collaboration of Marx himself. «Thanks to it, the young generation who became militants around 1876-1880 learnt the true nature of scientific socialism, its philosophical principles, and its methods. Anti-Dühring is the best introduction to the study of ‘Capital’. We need only read the articles written during that period by so-called Marxists to see what strange conclusions they drew from ‘Capital’, which they interpreted in a haphazard fashion. We have to acknowledge that no book apart from ‘Capital’ has worked to spread the particular method and system of Marxism as much Anti-Dühring. All the young Marxists … who got their first experiences between 1880 and 1885 started by studying this work». Thanks to historical materialism and the dialectical method, Marx and Engels put at the disposal of the human race the possibility of extending the scientific method to the study of history and society. This is already a very important result; but Marxist science is much more than that. Applied to the human world, Marxist science explains the processes that make communism a historical necessity, allows the scientific definition of the strategy for the communist revolution, and assures the proletariat of its superiority over the other classes, a superiority that only such a scientific strategy assures. All Marxist works are born as weapons in the revolutionary battle for communism and can only survive as such. In one and a half centuries, the struggles of many generations of Marxists have accumulated a scientific heritage that is unfortunately little known and even less used today. Arrigo Cervetto, who saw in Marxist science the salient feature of the Leninist Party and founded his attempt to transfer the Bolshevik experience of Tsarist Russia to the Italy of the post-wwii period on this hypothesis, defined the Marxist science heritage as a still largely unexplored goldmine. To bring back to the light of day a part of this theoretical goldmine for the English-speaking reader is the task that our publishing house has set itself, with the aim of providing theoretical weapons for the revolutionary battle for communism and not of spreading culture. All the reality of this 21st century reveals the full import of the scientifically founded revolutionary strategy contained in the final appeal of the Manifesto “Workers of all countries, unite!” More than ever, an international proletariat that has swollen to huge proportions has the urgent need to rediscover Marxist science and, in view of the battles that await it, to anchor its revolutionary preparation in it. The work to do is immense. 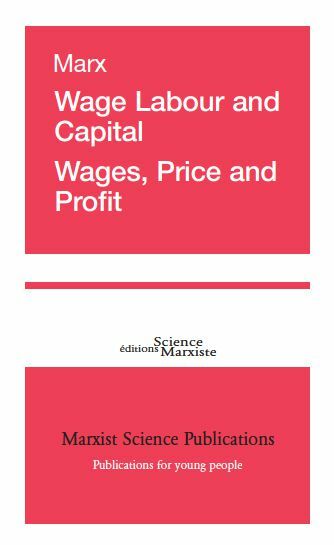 Our Marxist Science Publications catalogue is the yardstick by which to measure the contribution we have so far succeeded in making. 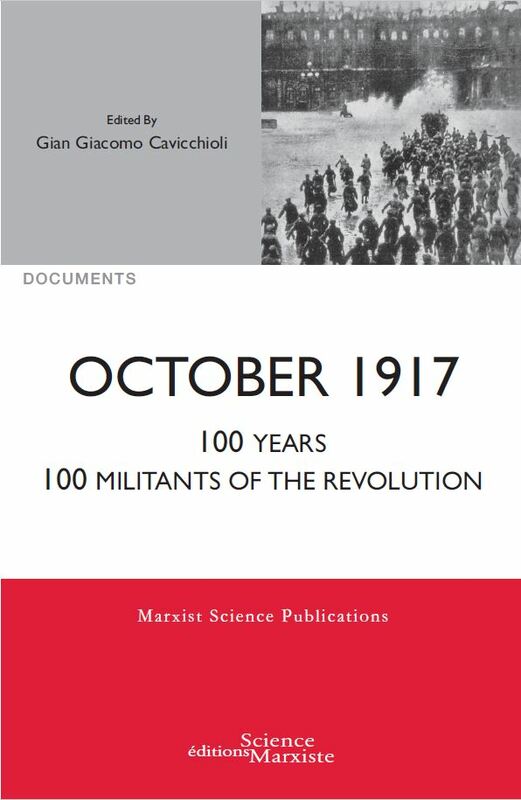 This work includes a Leninist re-reading of one of the highest points of the struggle and the political experience of the modern revolutionary class: the October Revolution and the attempt to build the strategy-party on a world scale. Arrigo Cervetto follows Lenin's thinking – contained in a number of his articles, reproduced in the Appendix – on the importance of the movement that in the China of 1912 established the democratic republic. Going beyond the defeat of the October Revolution, Lenin's predictions on the consequences of Asia's development were to remain the corner-stone of subsequent cycles of the class struggle. It is more important than ever to turn to these texts today, when global development is dominated by the irruption of Asia onto the world scene. On the occasion of the 50th anniversary of the constitution of the Communist International, Arrigo Cervetto wrote: “At the moment in which the most advanced part of our class is demonstrating that it is possible to organise ourselves into a single, communist, world party, there is now the historical proof that all the proletariat can do the same and that communism is not a utopia, but the future of the world.” It has been done, and it can be done again. The material collected in this anthology dates back to the first months of 1919. The dates on which these writings saw the light of day, and even more the state of the world in those days, are indispensable to the understanding of their significance. Lorenzo Parodi passed away in Genoa on 31 July. Born in 1926, a worker at Ansaldo Meccanico and a resistance fighter in the partisan struggle in the libertarian communist ranks, co-founder with Arrigo Cervetto of our party in the Leninist tradition, a theoretician and revolutionary leader, for thirty-four years, from April 1977 to a few weeks before his death, Parodi was the managing editor of the newspaper “Lotta Comunista”. Appendix III «Dialectics of Nature» F. Engels This special issue of the February 2012 Internationalist Bulletin presents a selection of a large number of articles written by Franco Palumberi and published in Lotta Comunista from July 2006 to August 2011 in the series 'The atom and the industrialisation of science' which is still ongoing. 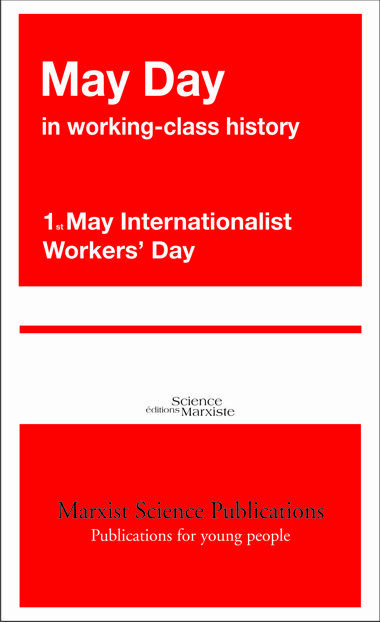 This special issue of the May 2012 Internationalist Bulletin presents a selection of a large number of articles written by Franco Palumberi and published in Lotta Comunista from December 2006 to November 2007 in the series 'The atom and the industrialisation of science' which is still ongoing. This special issue of the August 2012 Internationalist Bulletin presents a selection of a large number of articles written by Franco Palumberi and published in Lotta Comunista from December 2009 to March 2011 in the series 'The atom and the industrialisation of science' which is still ongoing.